영월 정양산성은 남한강에 돌출된 정양산(해발 430―565m)의 자연지형을 잘 이용하여 돌로 쌓은 산성이다. 이 성은 문헌기록상 그 축조연대를 정확히 알 수 없으나 삼국이 한강 유역을 놓고 다투던 삼국시대에 처음 축조된 것으로 추정되며, 『세종실록지리지』에 ‘둘레 798보, 성안에 샘이 하나 있고, 창고 5칸이 있다’는 기록을 통해 조선 전기까지 계속 사용되었음을 알 수 있다. 성의 전체적인 평면모습은 서북쪽을 향하여 넓은 사다리꼴 또는 키모양을 이루고 있다. 이 성은 내성과 외성으로 크게 구분되는데, 내성의 둘레는 1,060m, 외성의 둘레는 570m로서 성벽의 총 연장은 1,630m에 달한다. 그리고 북서쪽에 자리잡은 정양리에서 계곡을 따라 오르는 곳에 5개, 외성 내에 2∼3개의 차단벽을 갖고 있다. 성벽은 자연석을 적당히 다듬어 매우 정교하게 쌓았는데, 현재 남아 있는 성벽만 해도 높이가 최고 11.5m에 달한다. 이것은 우리나라의 고대 산성 중에서 성벽 규모만으로 볼 때 최대로 꼽히고 있는 보은의 삼년산성(사적 제235호)과 비교된다. 한편 남서쪽 일대에는 여장(女墻)이 남아 있다. 남쪽의 낮은 지대에는 비교적 넓은 평지가 형성되어 있는데, 여러 건물터가 있었던 곳으로 추정된다. 3군데에 다락문 같은 현문(懸門) 형식의 문터가 있고, 성벽이 꺾어지는 3군데에서는 성벽 바깥으로 돌출하여 만든 시설물인 치성(雉城), 혹은 곡성(曲城)의 흔적이 남아 있다. 영월 정양산성은 한강 상류지역에서 가장 중요한 산성일 뿐만 아니라 성벽과 문터, 곡성과 치성, 그리고 후대의 외성과 차단벽을 갖춘 유일한 산성으로 보존상태도 양호하여 역사상·학술상 가치가 있다. 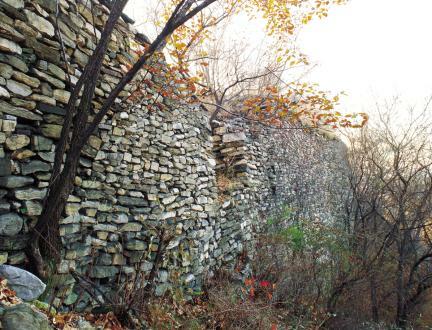 Jeongyangsanseong in Yeongwol is a fortress built with stones based on the natural topography of Jeongyangsan Mountain (430-565m), which protrudes from Namhangang River. Its exact date of construction cannot be found in records but is assumed to be during the Three Kingdoms Period when the three nations were fighting over the Hangang River basin. 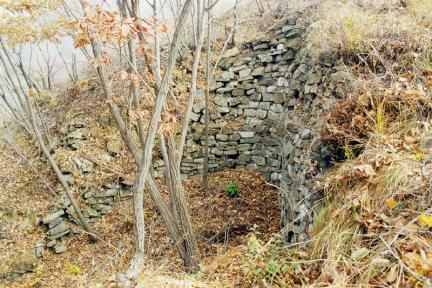 According to Sejongsillok jiriji (Geography of the Annals of King Sejong), it measures 798 bo (steps), with a spring and five storerooms inside the fortress. 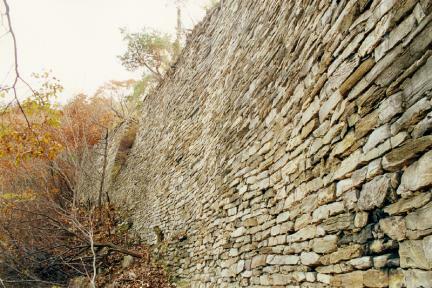 From this, we can tell that the fortress was used till the early Joseon period. In terms of layout, the fortress is of a wide trapezoidal shape facing northwest. 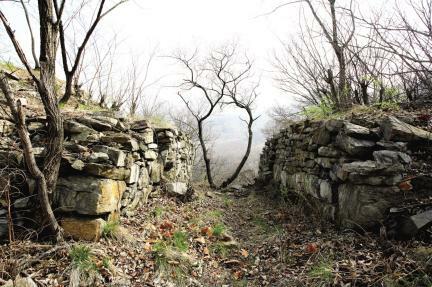 Largely divided into an inner fortress with circumference of 1,060m and an outer fortress measuring 570m, the fortress walls span a combined total of 1,630m. 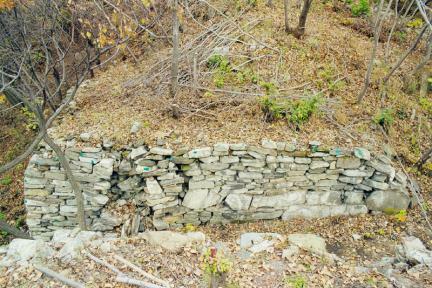 Following the creek from Jeongyang-ri to the northwest, there are five bulkheads and two to three in the outer fortress. 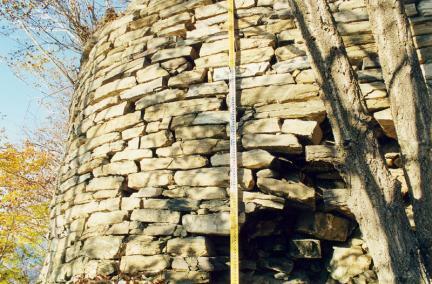 The walls were carefully built with roughly dressed natural stones, with the highest part of the remaining walls reaching 11.5m. This is comparable to Samnyeonsanseong Fortress in Boeun (Historic Site No. 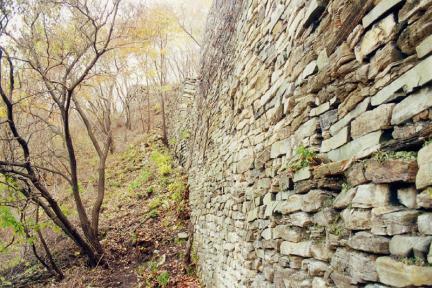 235), which is the largest among Korea’s ancient fortresses. 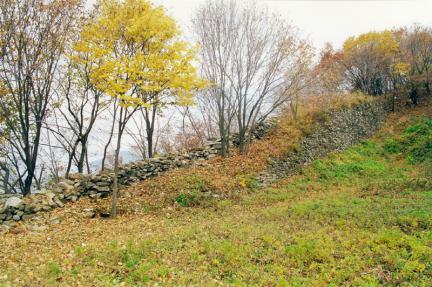 On the southwestern side, some small fences on the wall remain. In the low land in the south is a relatively large area of flat land, where several buildings were probably located. In three places, there are traces of gangway doors, with protruding bastions in the three places where the wall curves. 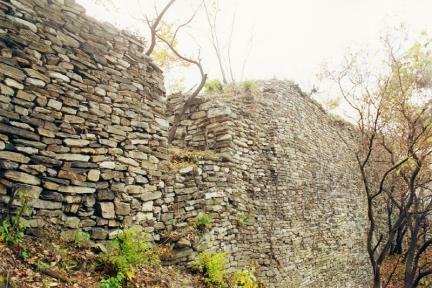 Jeongyangsanseong is not only the most important fortress in the upstream part of Hangang River; it is also the only fortress with remains of walls, gate sites, bastions, and later-built outer fortress and bulkheads preserved in relatively good condition; hence its historical and academic value.